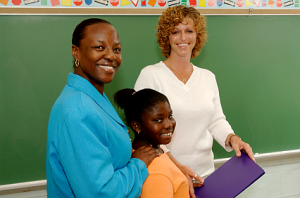 Communications between parents and teacher is an important part of education. Every child is different from each other and has their own way of dealing with things. To understand and educate the child better, it is important to know about the child. Gaining insight into the child’s ways can be done with the help of parents. How does a teacher improve communication with parents? This can be done with the help of sending a parental newsletter to the parents of the child.This newsletter will inform the parents about ongoing projects, the assignments, upcoming field trips and also involve the parents and consider their views on certain subjects. It will involve the parents actively in the child’s education. The newsletter can be sent through email as well. Another way of involving the parents is through the homework folders or the Friday Folders. This will give them a chance to interact with the parents on an individual basis. You can write a short note to the parents about the problems the child is facing and also ask for feedback from the parents regarding the child. Email is an essential way to interact with parents. You can write an email to the parents describing in detail the child’s progress. It is an individual way of communicating with the parents. The parents can also give their response through email. If your email address is with the parents, they can contact you through email and discuss the problem with you. Many times there are group emails made for a class where the parents can interact with each other and the teacher. It will give the parents an idea about the child and also about other children and how their child is faring in the group. The activities in which the whole class is involved can also be notified through this email. Certain hours in a month or a night can be set aside for the parents to communicate with the teacher. When they are face to face, they can easily discuss problems or the achievement of the child. When you are face to face with the parents, they will be more inclined to discuss problems freely without any hitch. You should inform the parents of the method of communication you prefer. The teacher should also not be disturbed during odd hours by the parents. If you make yourself available to parents, then you will realize that it is easy to teach the child as you know all about him/her.